Titled "Accelerating the application of Stem cell technology in Human Disease" or ASHD, the new program is jointly supported by the Department of Biotechnology (DBT) and the Pratiksha Trust, a charitable trust setup by Mr. Kris Gopalakrishnan, co-founder of Infosys and his family. The ASHD program involves top Indian institutes - The National Centre for Biological Sciences (NCBS), Institute for Stem Cell and Regenerative Medicine (inStem), National Institute for Mental Health and Neurosciences (NIMHANS) from Bangalore and the Christian Medical College (CMC) with the Centre for Stem Cell Research (CSCR), a unit of inStem, at Vellore. In order to create and sustain a pool of Indian scientists who can work on stem cell technology, the ASHD program also will partner with the Centre for iPS Cell Research and Application (CiRA), Kyoto University, Japan, which is led by Prof. Shinya Yamanaka, a leading pioneer in stem cell technology. The launch event included a series of opening remarks by representatives of the DBT Prof. K. VijayRaghavan, Dr. Renu Swarup and Dr. Alka Sharma; Mr. Kris Gopalakrishnan, Mr. Kazuhisa Yoshida from the Japanese Embassy and current and former Directors of NIMHANS, Prof. B. N. Gangadhar and Prof. Satish Chandra, all extending their full support to the ASHD program. 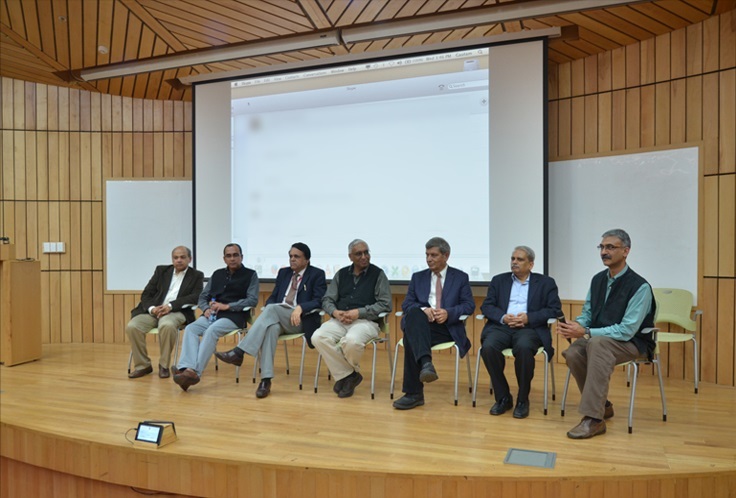 This was followed by short presentations by the four coordinators of the program: Prof Alok Srivastava (CSCR Vellore), Prof Mahendra Rao (inStem), Prof Sanjeev Jain (NIMHANS) and Prof Raghu Padinjat (NCBS). These talks concluded with a panel discussion with all the coordinators of the program. Also attending the event was Mrs. Sudha Gopalakrishnan, co-founder of the Pratiksha Trust and eminent acacemic colleagues from neighbouring institutes NIMHANS and IISc. The ASHD program has two broad components which deal with human diseases of national importance. The first, a collaborative venture between inStem, NCBS and NIMHANS,involves the use of stem cells to study the genetic bases of mental illnesses (such as schizophrenia, bi-polar disease and attention deficit disorders). The second component involves developing modern methods including gene therapy for hereditary blood disorders such as haemophilia, thalassemia and Sickle Cell Disease (SCD), all of which are causes of major morbidity and mortality in India. This component is a joint endeavour between inStem and CMC with the Centre for Stem Cell Research. In order to have maximum impact on these diseases in the community, this initiative also plans to combine these efforts with a community outreach program for the control of major haemoglobin disorders. "Some of the best research organizations in India - NCBS, InStem, NIMHANS, CMC Vellore - are being brought together by DBT to work in the area of genomics with potential to find cures for neuropsychiatric diseases; and Pratiksha Trust is excited to support this. Clearly, this will have benefits for India and rest of the world", said Mr Gopalakrishnan. "Given the extent of genetic relatedness in South Indian populations and carefully maintained clinical records of neuropsychiatric patients at NIMHANs, this is a project that is most timely. Coupled with the scientific and technological resources that are now in place at NCBS and inStem to tackle both neurophysiology as well as iPSC generation, there is a huge potential for scientific discovery and translation. Likewise, with the building up of translational capacity in Stem Cell research at CSCR at Vellore, the scope of being able to tackle Blood disorders as well as create a much needed Haplobank is a genuine possibility. With our collaborators at CiRA (Centre for iPS Cell Research and Application), we have a great opportunity here and are thankful to the DBT and Kris for the tremendous support shown in the programme", said Prof. Satyajit Mayor, Director NCBS and inStem. "We, at NIMHANS have been thinking about this project for several years, and witnessing its initiation leaves me both very proud and very hopeful for the future. Clinicians are always in a hurry for solutions to treat patients, and we believe that the ASHD programme will accelerate this process through the meshing of technology and medicine", said Dr. Satish Chandra, the former director of NIMHANS. "We have leading scientists with an epoch-making research agenda and transnational collaborations in this visionary programme. We hope the ASHD programme not only provides answers for current burning issues in mental illnesses and blood disorders, but also serves as a repository of knowledge for future questions to be addressed"', said Dr. B. N. Gangadhar, the current director of NIMHANS. "In recent years, major success has been achieved with gene therapy for the major haemoglobin diseases as well as bleeding disorders like haemophilia. The NAHD program will help establish these technologies in India to address significant unmet needs in the management of these diseases. This will be done through interdisciplinary collaborative research in India along with international collaborations with some of the leaders in the field. This program also envisages industrial collaboration for product development in a cost effective manner", says Dr. Alok Srivastava, from CSCR / CMC, Vellore and co-ordinator of the NAHD program. "The Christian Medical College, Vellore is delighted to be part of this joint endeavour. Several clinical and laboratory departments from the institution are engaged in this program to work towards applying novel technologies for therapeutics in a cost-effective manner", said Dr. Sunil Chandy, Director of CMC, Vellore. "Our understanding of the function of the brain in particular and human biology in general has depended and will continue to depend substantially on studies on model organisms. More recently, the growth of stem-cell science has allowed the study of humans, in health and disease, in new ways. While research in stem-cells has been supported for over a decade by the Department of Biotechnology, this new adventure that inStem-NCBS-NIMHANS are embarking in Bangalore and Vellore will be a landmark in human neurobiology and in other areas of stem cell anchored biology such as blood diseases. We expect the strengthening of the foundations of understanding, new knowledge and new applications coming from this programme rapidly. I congratulate all partners for getting such a complex programme started and look forward to seeing it grow. You have the DBT's fullest support", said Prof. K. VijayRaghavan, Secretary DBT.